The amount of reports circulating at present regarding Samsung’s upcoming Galaxy S III suggests the wheels are well and truly in motion for a release in the next couple of months. We’ve seen purported adverts, photos, as well as heard (admittedly, from rather questionable sources) that the device is in production, with a view to an April or May release. In the latest, information obtained via Reddit suggests the Korean LCD specialist’s forthcoming smartphone may run two different launchers. Supplemented by a photo, the info – supposedly divulged by an unnamed Samsung employee – cannot be verified, so we obviously treat the rumor with a certain amount of apprehension. Incidentally, even in this age in which people are never more than 15cm away from a digital camera, the tipster could only muster an image snapped on a disposable camera. As well as informing the increasingly anxious tech world of a few specs: notably a 4.7 inch screen "that nearly takes up the whole phone", he also ‘confirmed’ the ceramic backplate which has been lurking in the rumor mill for sometime now. Just a week after Stephen Elop, CEO of the once-mighty Nokia, branded dual and quad-core processors "not useful" in smartphones, the whistleblower also noted the S III will include a quad-core Exynos 4412 processor, 12 megapixel cam with flash and 2GB of RAM. 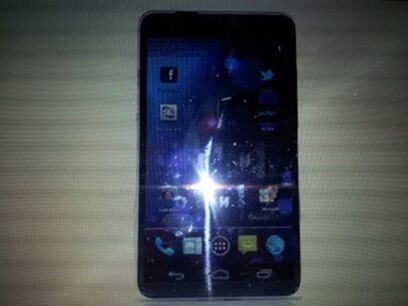 "It will possibly have two optional launchers, ICS with touchwiz overlay and vanilla ICS. They [Samsung] aren’t 100 percent sure if they will stick with touchwiz or have the dual launcher option. If they go dual, you will have the option of picking which one to use at startup, and you can change any time." The device is said to be 8 millimeters thick, and that thickness will remain consistent throughout the device – there will be bump this time around. 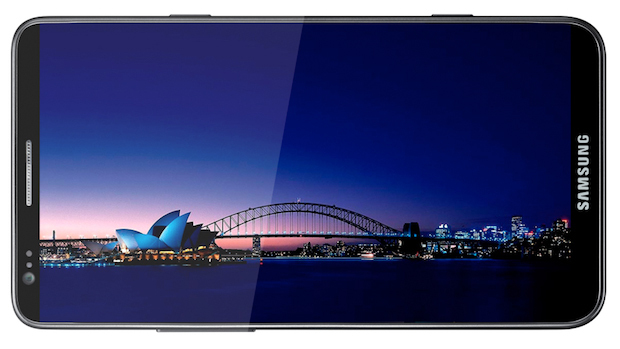 There is no doubt that the S III will be the biggest smartphone release of the year along with the iPhone 5 (or "the new iPhone", maybe), since both the device’s would-be predecessors are currently the flagship smartphone to each company. The rivalry between Apple and Samsung has increased dramatically over the last twelve months, and a spring/summer showdown will likely draw the best (and worst) from each camp once more.